Whew! Yesterday was a much-needed break from the computer. I was awakened at 4:45 in the morning in the most nerve-shattering way, though. Jerry left for work, and as always, he set the home alarm before he left. Once you set it, you have 45 seconds to get out of the house or it will actually sound the alarm. If the door is opened after those 45 seconds, then the alarm sounds REALLY LOUDLY. The noise it makes is like an ambulance siren, only about 100 times louder. I have no idea what happened when Jerry left, but I woke up to the noise of the alarm going off. I was so confused, and I yelled, "Get up!" to Jerry, but then I remembered he'd already gotten up for work. Then I thought maybe someone was breaking in the house, but right then I saw the headlights from Jerry's car leaving the driveway, and I assumed he'd accidentally set off the alarm. So I ran out into the living room (while the thing was blasting away at my eardrums) to turn it off. After the kids went to school, I hurried out the door to go to the rec center to do a deep water run. I set my Garmin for a 8 x 2:30 with 0:30 recovery intervals. (Run hard for 2:30, then recover for 30 seconds, and repeat for a total of 8 times). I really like this particular workout, and I've found it to be most efficient. I've done the 1:30 intervals, but it's not really enough time of hard running to get my heart rate way up before the 30 second recovery. I've also done 5 minute intervals, and those are so long that it's really difficult to keep running "hard" for that length of time, so I tend to slow down for the last couple of minutes. They also have 1-minute recoveries, which I think is too much time and my heart rate lowers too much between hard intervals. The 2:30 intervals with 30-second recovery are right in the middle--long enough to be very tiring, but not to have to slow down; and the 30-second recovery is just enough time to catch my breath before the next interval starts. They go by really quickly! And my heart rate gets up to about 164, which is about what it would be for a tempo run. When I was at the rec yesterday morning, there were probably about 10 older ladies in the pool. Usually I'm either the only one in the pool, or there are one or two people swimming laps in the lanes. When there are other people in the deep end, it's kind of hard to section off my own little space. Since I move forward when deep water running, I usually do laps (or rectangles, if I have the whole deep end to myself). 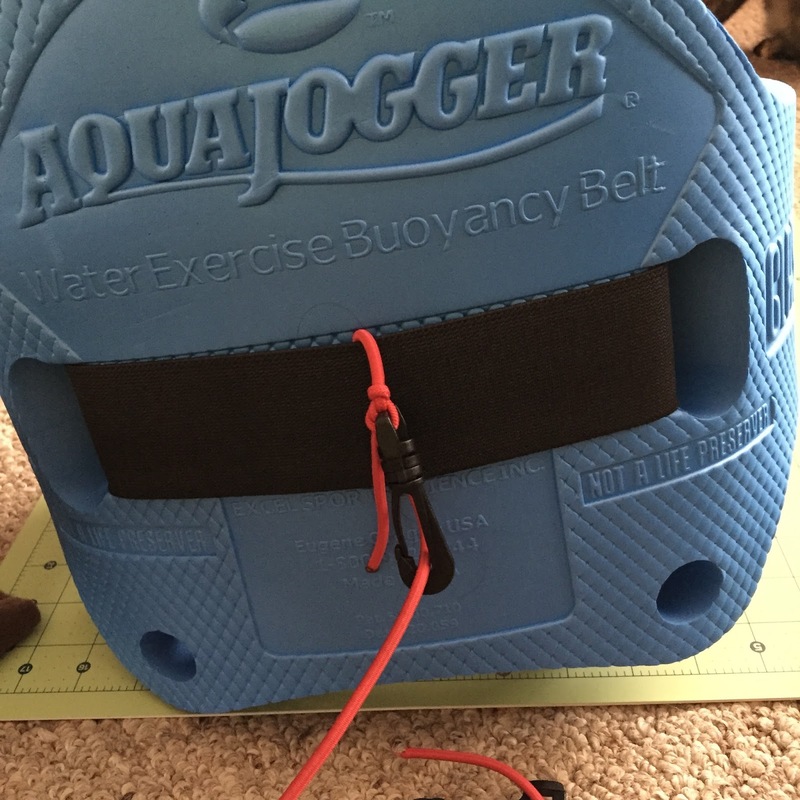 Since my ankle is still an issue, and it looks like I'll be doing the deep water running for a while (I'd even like to continue doing it 1-2 times per week once my ankle is healed, because it really works my legs! ), I'm becoming a little more invested in it. I had a $100 Amazon gift card, so a couple of days ago, I used it to buy a waterproof iPod (they're $140, but I never would have spent that much on it without the gift card). Soon, I can listen to podcasts while I run in the pool! I miss listening to podcasts--usually I only do in the summer when going for a walk. 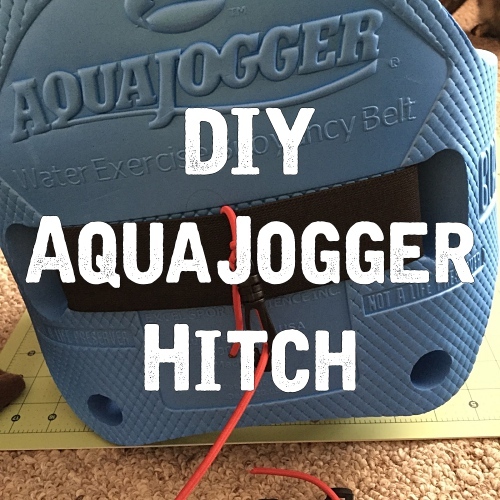 Today, I made a tether (hitch) for the Aqua Jogger belt. 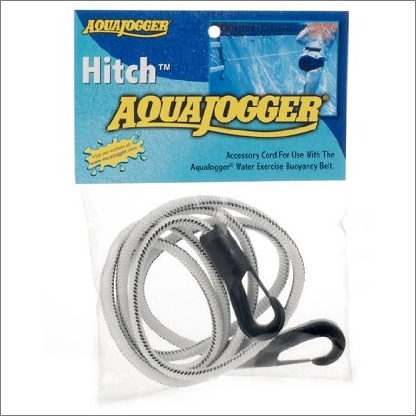 You hook one end of the hitch to the belt, and the other end of the hitch to a ladder or a clip on the side of the pool. That way, you don't move forward when deep water running. Also, you get the benefit of the resistance from the band (it's elastic), so it makes a harder workout. parachute cording in the craft store) and four clips. You can buy the tethers online, but they're expensive! For one 5-foot hitch, plus shipping, it's $15. I made two (one for me and one for Jerry) for $9, and they're nearly identical to what you would buy from Aqua Jogger. 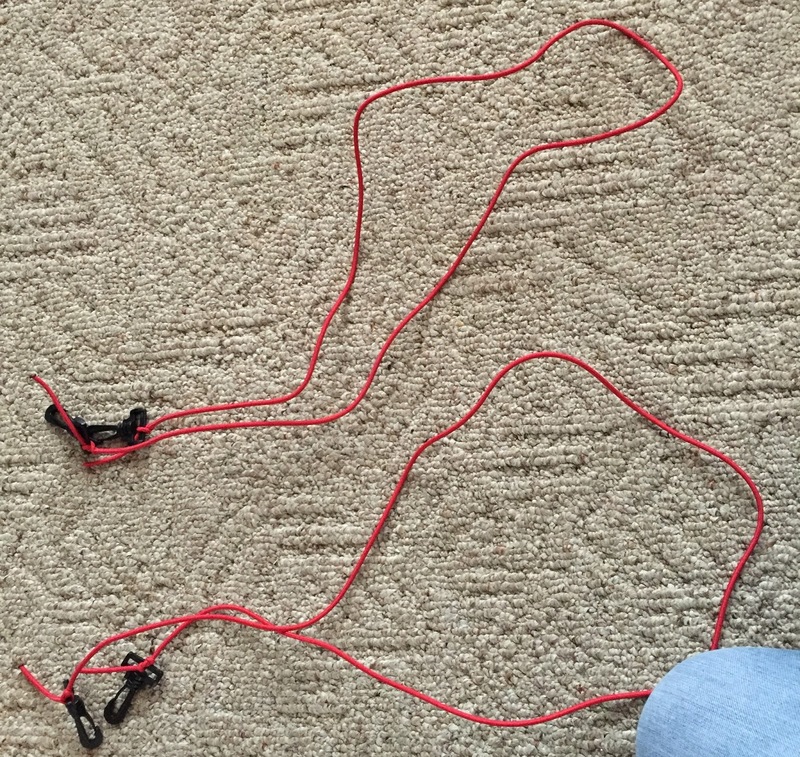 I cut the elastic cording and burned the ends, then just tied them to the clips as tightly as possible. Super simple, and it only took about two minutes! That one was pretty easy, because there were a lot of distinct colors and words. Then I started a new one. A couple of days ago, I got a birthday gift in the mail from Paige--and I was SO excited when I opened it! 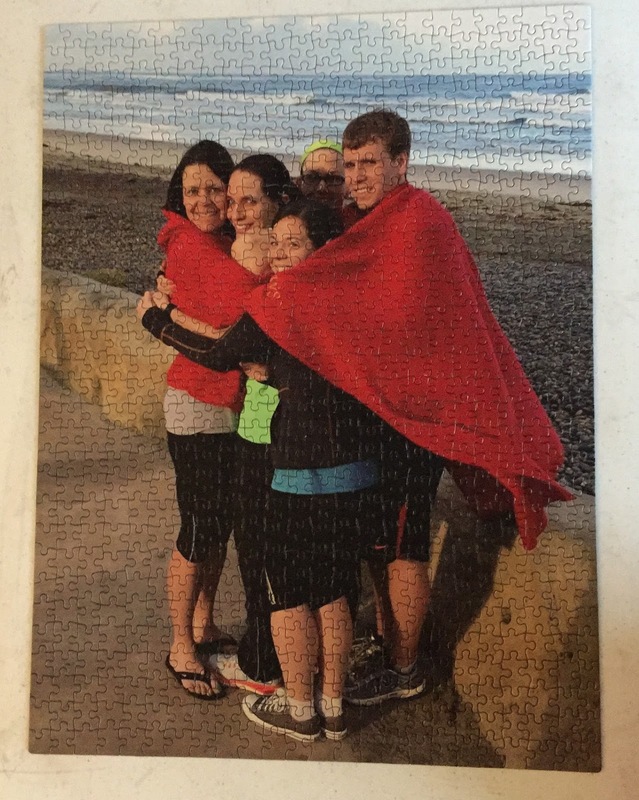 It was truly the perfect gift--a puzzle of my favorite picture from Ragnar SoCal! I started it yesterday and finished it up this morning. The picture is of Paige, Caitlin, Hilary, Thomas, and me. John was out running, and we were trying to keep Caitlin warm before she started her leg. It was FREEZING in SoCal that day! I absolutely love this picture, and to have a 720-piece puzzle of it? Awesome! It was really hard to put together, too--the red and the concrete pieces took a long time, because each piece of that color looked the same. 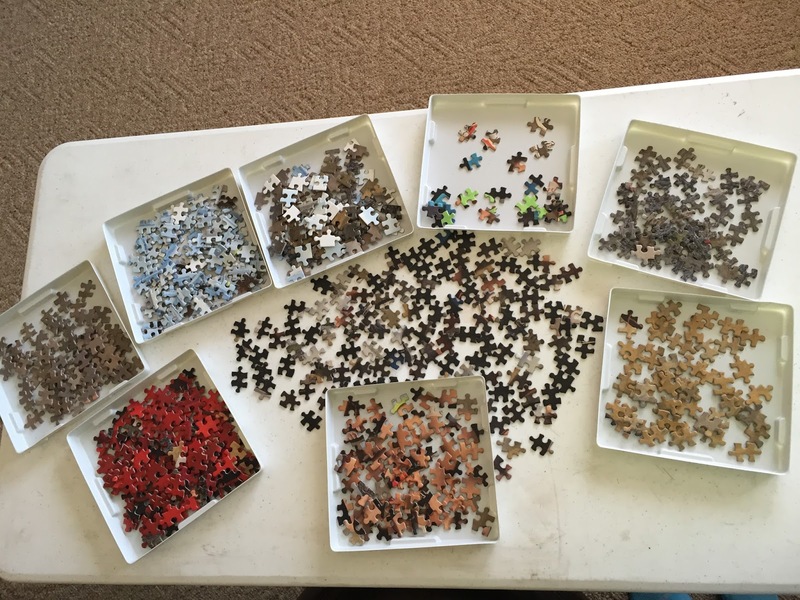 My mom bought me some sorting trays for my birthday--so when I work on the puzzles, I can sort the pieces out by color, It really helps a lot! So needless to say, yesterday was pretty relaxing other than my water run. Today, the rec center only has open swim from 8:30 pm-10:00 pm, so I won't be able to run. I'm excited to try out the tether tomorrow to see how it goes! I have to take the kids to basketball this evening, so I think I may go attempt a walk on the indoor track. Hopefully my ankle will do okay. It's usually just when I run that it hurts. LOL, I totally have a visual of a person walking a dog on a leash and you swimming with the tether :) Glad its working for you, it sounds like fun! 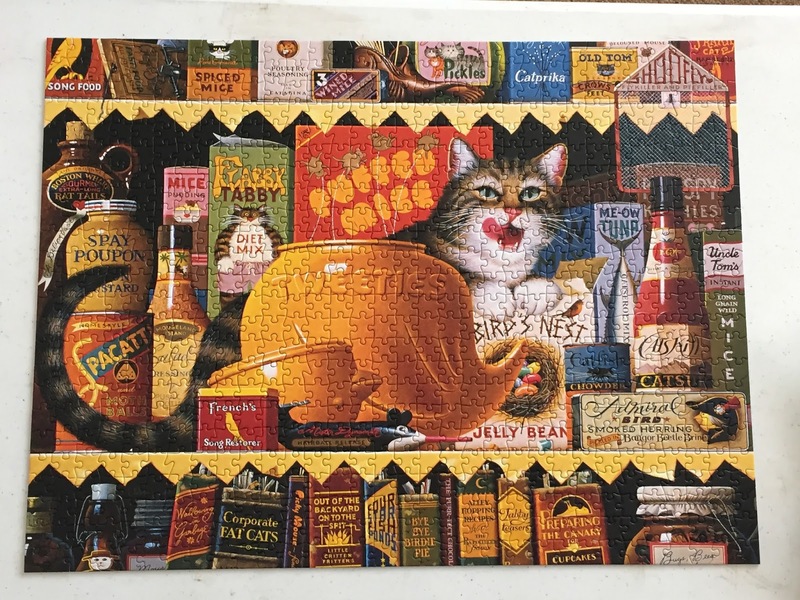 Love the puzzle all put together. It makes my heart smile!